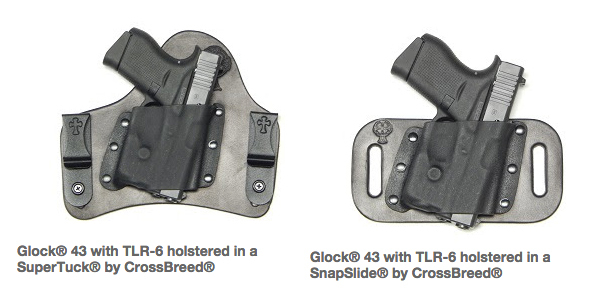 CrossBreed® Holsters confirms fit for the Glock® 42/43 with the Streamlight TLR-6. The TLR-6 is the first subcompact pistol light with both an LED illuminator and a red aiming laser designed for the Glock® 42/43. 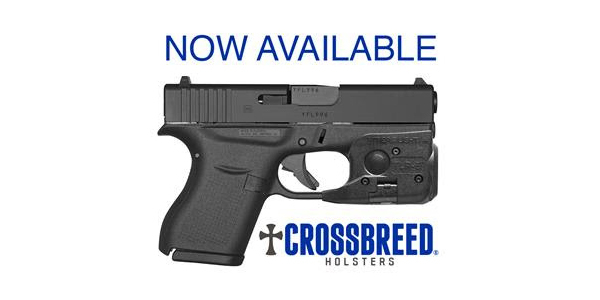 CrossBreed® is now offering several holsters that are hand molded specifically for the Glock® 42/43 with the Streamlight TLR-6 including: the SuperTuck®, QwickClip, SnapSlide, SuperSlide, Ohai, Bedside Backup, Belly Band, Purse Defender, Pac Mat and the RAM Mount products. CrossBreed® Holsters is recognized as the leader in the concealed carry market as the maker of the best and most functional concealment holsters available. Each holster is handcrafted to ensure your firearm is safe and secure while carrying. Combined with the best customer service in the industry, CrossBreed® Holsters is the company you can count on for all of your Conceal & Carry needs.